Also if you can back the lights up, they will spread out more. 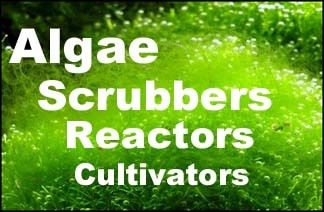 Thread: Algae Scrubber on a Temperate/Coldwater system? Looks great. Probably should clean more often though. And if you want you can brush the growth out of the holes. Are you using all 4 lights? And did you use the mineral supplement? Coming soon to freshwater: HOG2x scrubber® with Xtra light for nitrate over 50 ppm. And Green Grabber® rocky surfaces to hold on to freshwater slime growth. Wow looks great. 2-lights correct? Yes, more or less days of growth, to get the largest harvest. That will remove the most nutrients. Just keep filling the screen and harvesting it. Change the number of days of growth to get the most growth. Yes, not enough export compared to feeding.